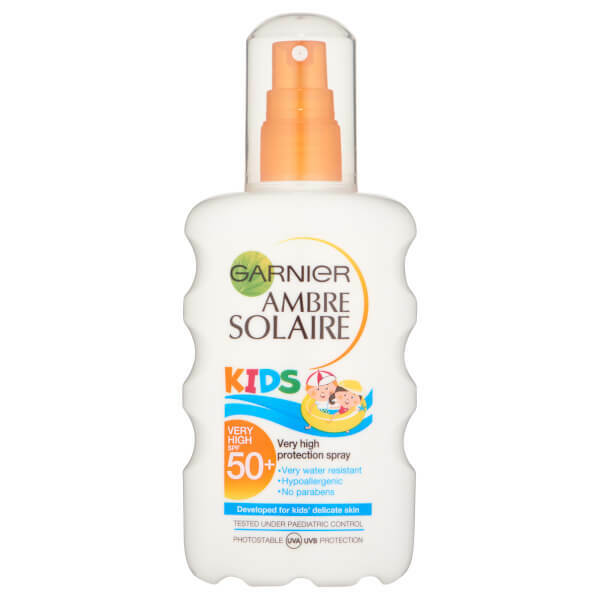 Protect children from the sun's harmful rays with Garnier Ambre Solaire Kids Sun Cream Spray SPF50+, a lightweight sun cream. Formulated with a unique filtering system that shields skin for advanced protection from UVA and UVB rays. 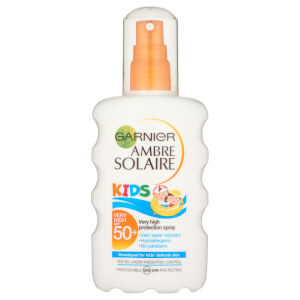 Ideal for children's delicate skin, the water resistant spray is easy to apply and defends against sun-induced damage. Enriched with nutrients to retain the skin's moisture levels and prevent dry skin. E.N. Hypoallergenic, perfume free and water resistant.